How do you feel about Library of Leng being added to the deck? It seems a bit out of place, but it does allow you to go infinite with Borborygmos Enraged provided that you have some form of card draw like Keen Sense , Snake Umbra , or The Gitrog Monster . I do understand that you have not included some of these combo pieces in your deck, but I just found this to be a very interesting synergy. The library also has the benefit of providing no maximum hand size. However, this may be irrelevant because I don't know the extent of the deck's draw power. It seems a bit out of place, but it does allow you to go infinite with Borborygmos Enraged provided that you have some form of card draw like Keen Sense , Snake Umbra , or The Gitrog Monster . Looks good! 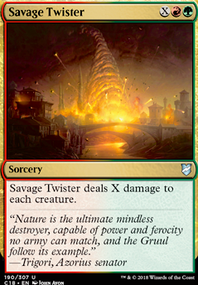 I think Savage Twister could be a Starstorm for that instant speed and cycling. And a Solemn Simulacrum would give you ramp, card draw, and it would count as two card types for Traverse the Ulvenwald . 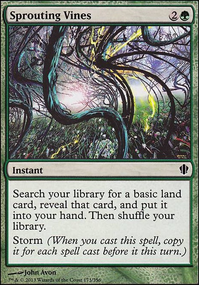 If you wanna play even more lands a turn, Storm Cauldron gets you more landfall triggers, slows down your opponents, and it's hilarious with a Borborygmos Enraged to end a game. 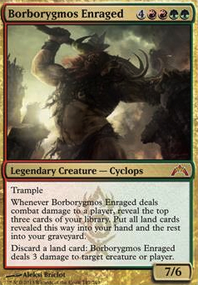 Borbor also goes infinite with a Dakmor Salvage , The Gitrog Monster and a library shuffler like Kozilek, Butcher of Truth or Gaea's Blessing . 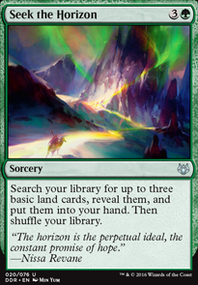 Also maybe some way to tutor for Scapeshift ? Increasing Ambition could be good. Thanks for the suggestions KayneMarco! I've tried Wayward Swordtooth for a long time in the deck but it consistently ended up being less impressive than any of the other ramp creatures as it ended up doing very little early game (unable to block or attack) and late game was just as impactful (a lot of creatures bigger than a 5/5). A short time ago it was cut from the deck and since then I haven't felt any significant degradation to how it plays. Ob Nixilis, the Fallen has been on the radar for a long time, however I think that he represents too much of a threat in terms of board politics, and doesn't represent an impactful or game-winning threat upon resolution like say an Omnath, Locus of Rage or the utility of a Borborygmos Enraged . The threat density of the deck is a little light so I'll give it a try at a later date if Squandered Resources doesn't work out. 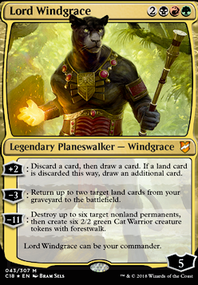 Mina and Denn, Wildborn do seem to naturally work well with any creature large enough to really make the trample aspect important, but this deck doesn't really play any of those kinds of threats reliably. I imagine it works well in concert with Ob Nixilis, the Fallen . 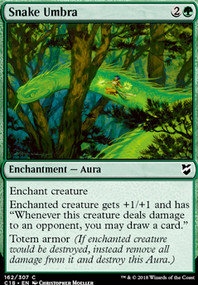 My issue is that unlike the other impactful ramp creatures (such as Azusa, Lost but Seeking , Oracle of Mul Daya or Lotus Cobra ) the secondary ability doesn't really shine. That said it potentially allows you to replay Glacial Chasm multiple times to reset counters and protect it at instant speed from removal, so I'll give it some more thought and revisit that one soon. 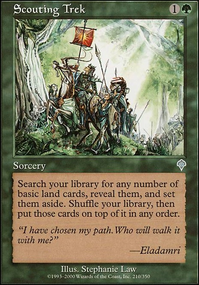 For mana fixing: I've found that a lot of the success of the deck comes from redundancies in the land. 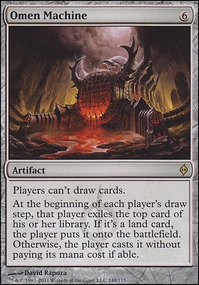 You may not always get the Golgari Rot Farm needed in a clutch play, but a Rakdos Carnarium works just as well as the key bounceland in a pinch to put a land into hand for pitching to Lord Windgrace or to reset a Glacial Chasm . 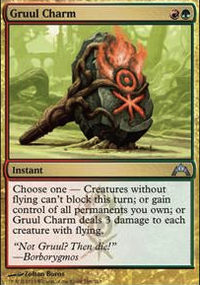 There are some slow starts, but if a single green source is present in the opening hand plus any mixture of ramp or other accelerant (even something like a Amulet of Vigor + bounceland). 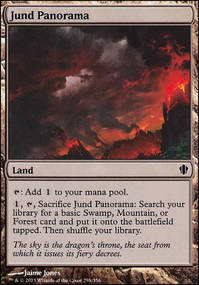 Personally I've found the Amonkhet cycling lands (expecially Canyon Slough ) to be a little unnecessary, especially with access to the single mana cycling lands like Tranquil Thicket and Barren Moor . 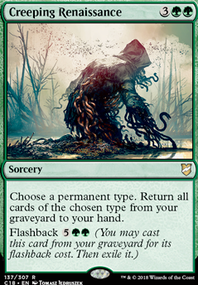 With Urborg, Tomb of Yawgmoth there's certainly a lot of potential to ramp out with Cabal Coffers and I hadn't considered it seriously yet but I will look at testing it out. 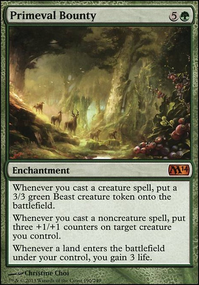 I've had a think over explore with potential additions like Path of Discovery because it functions particularly well with Avenger of Zendikar or Worm Harvest but I've found in a surprising amount of games (well not surprising given the deck numbers) there have been very few creatures hitting the board. 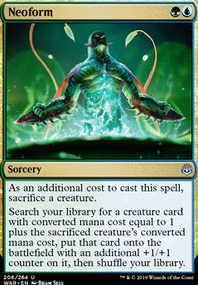 This is because often other decks that focus around creatures will often overrun anything played by this deck unless you're exceptionally lucky. If anyone's had success with it I'd be more than happy to check it out. A further addition might be Vampiric Tutor , but I'm waiting to trade off my visions version for an EMA before I modify the paper deck. 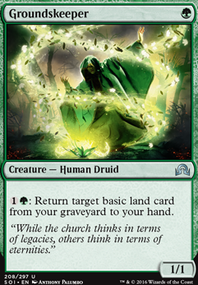 In a few recent games the amount of lifeloss has really start to hurt the deck, and there's been consideration about including Radiant Fountain as a source of repeatable lifegain. Journey to Eternity Flip - Immediately hated out of most games, but when flipped it's been horrendously good. Windgrace's Judgement - Usually in the wrong place at the wrong time, hitting too few of the necessary targets to dig this deck out of a tough spot. However it is a broad answer, which is essential to any removal suite in commander. 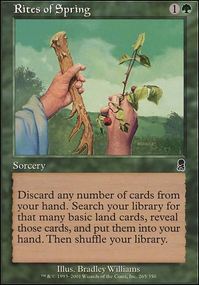 Borborygmos Enraged - This deck rarely has a large amount of land in hand unless it has precisely Life from the Loam or a mixture of Lord Windgrace + Rites of Flourishing . That said this turns terrible late draws into bolts for creatures, but I cannot recall the last time I didn't pitch this immediately to find something useful. Fury Storm - Usually stranded in hand until a finisher is drawn or used as a bad counterspell. Cut / Ribbons - Cast once for front half. Might as well wait for Exsanguinate because at least then you get some life for the trouble of tapping out. Grapple with the Past - This card is ungodly in being cheap, instant, milling and targeted towards exactly what the decks needs in a pinch, or even when ahead. Hour of Promise - Just too good. Tempt with Discovery - Always better than Hour of Promise early game except if the table is at all wary of what the deck can do will often decline, or will not give it the time of day in the late game, making this an expensive ramp later on. I would think the reason is simply that Big G didn't offer much as far as a theme to build the deck around. 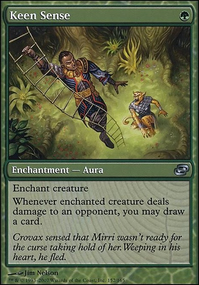 Using Ruric as the face card makes the direction of the deck clear, and easier to put together with the available card pool than say Borborygmos Enraged who is cool and unique, but whose mechanic isn't really supported by his tribe. Original Borborygmos is simply a big beater which is great for gruul, but it doesn't offer much deck building direction.